Visit many of the popular points of interest in Washington, DC on this guided, 4- to 5-hour, small-group tour. 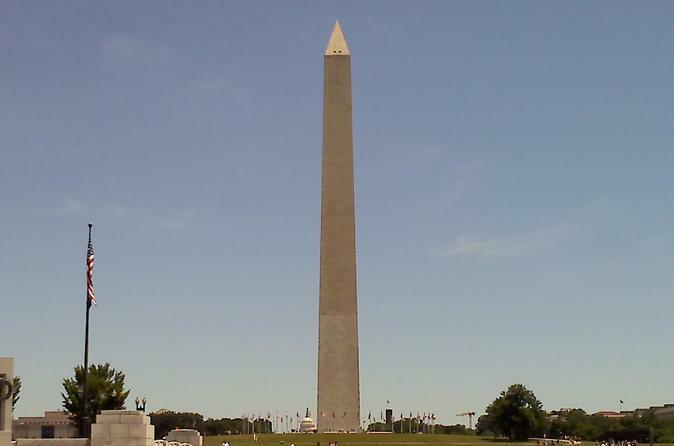 Learn about the well-known monuments and memorials on board a comfortable minivan. See the famous memorials of the National Mall, including the Lincoln Memorial, the Franklin Delano Roosevelt Memorial, the National World War II Memorial, and more. Also, pay a visit to the White House Visitor Center and Library of Congress. This Washington, DC sightseeing tour begins at Hotel Harrington, located at 436 11th Street NW in DC, at 9:45am Monday, and Wednesday through Saturday with a reservation. Travel to several of the city's most popular attractions. Attraction stops include the Abraham Lincoln Memorial, the Korean Veterans Memorial, the Vietnam Veterans Memorial, the Martin Luther King, Jr. Memorial, the Franklin Delano Roosevelt Memorial, plus the White House Visitor Center, and the John F. Kennedy Center for the Performing Arts (for lunch).